Tuition costs are going up each year, especially at four ­year universities. 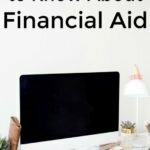 Whether you're heading into college, considering it, or halfway through, sometimes you may wonder if your education is going to be worth the loan payments in the long run. The truth is a resounding yes, as long as you put in some effort to learn outside of class and stay competitive with fellow students. 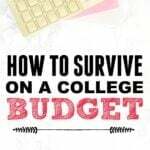 Here are several things that college students can do to get their money's worth and more. Forbes has a great guide on using your summer vacation to build a stronger platform for when you graduate. One of the most universally helpful suggestions is to get a summer internship. Why waste your time vacationing or partying when you can get vital experience in a field of your interest and meet relevant companies and hirers? Take note that some companies are better for internships than others. Research the company and the details of the internship before you jump in, and always research your options. Beware internships that are vague on what duties you'll be performing, and be up front with the employer if the internship ends up not providing the duties they promised. Taking an active part in the things that matter to you is inspirational to others, and a big plus for resume building. Start a student organization, organize events, and put yourself out there. If you have questions about something, ask a relevant member of the faculty, and always end the talk by asking who you can contact if you have more questions. In a time when many people spend most of their waking hours looking at a screen, taking the initiative to meet someone face to face can make them very keen on helping you. Once you get what you wanted, you can talk about the experience in job interviews later. 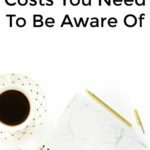 Have you not entered a college yet and are concerned about the cost and time? If you can't make too big of a change to your daily routine, you could get a degree over the internet with a credited university. For instance, you could get a master of taxation online in two years, without sacrificing your job or living/commuting somewhere else. Be wary of schools that promise a degree in less than a year, but don't overlook online school, especially if the fast paced college town life doesn't interest you. Job hunting can be scary and tiresome after graduation, when everyone in your class is out looking for a piece of the market. The good news is that very few students think years ahead. Only a select few choose to network and search for job opportunities they could ask about in the future, while they're still studying. Search for companies you'd love to work for, and let them know what kinds of work you'd like to do. Ultimately, the career world rewards those who put in the most time and effort. If you pick just a few of these tips and see them through to the end, you'll have a strong leg up over your fellow alumni.